Before too long, the road salt will be gone, the constant precipitation will slow, and you won’t have an excuse to drive around a filthy looking car anymore. 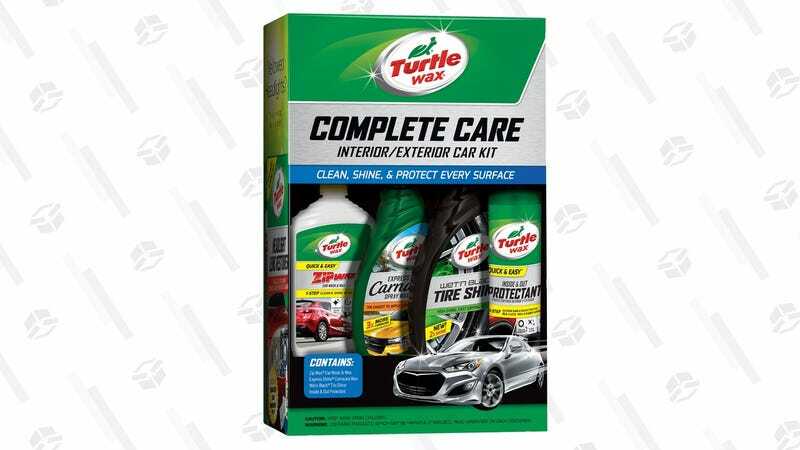 But with this $10 Turtle Wax kit from Walmart, you can make it look showroom shiny in your own driveway. That includes Zip Wax Car Wash and Wax, Express Carnauba Spray Wax, tire shine, and a can of protectant for about the same price as a single trip through the gas station auto wash.